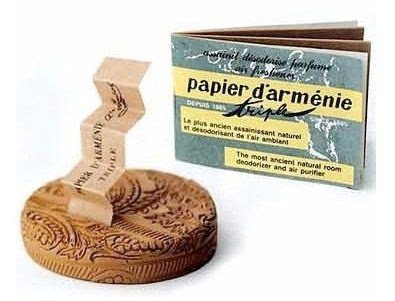 Recently I came across this pretty booklet that had a vintage design, it was called Papier d´Armenie (or incense paper from Armenia. 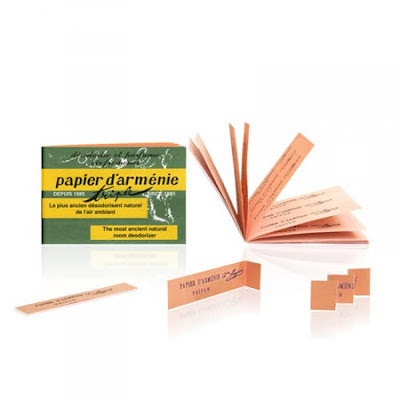 Inside the booklet are papersheets, that are divided in serveral smaller strokes. You have to tear one of them, pleat it and burn it in a dish. 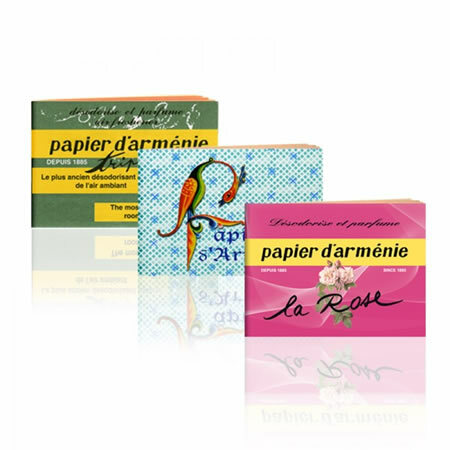 The original Papier d´Armenie papers perfumes and deodorize cooking or smoking smells in your house in a natural and organic way. 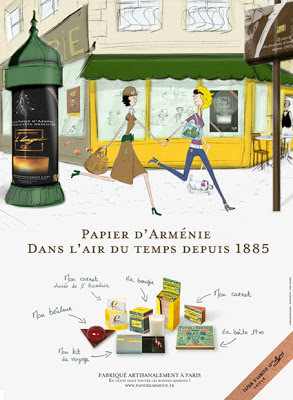 This company exsists over a 120 years and it´s french founder came across Benzoin during his travels in Armania. Benzoin is used for Papier d´Armenie, for it´s deodorizing and mood uplifting benefits. Not only am i fond of the scent of it ( they have many diferent scented paper right now) the design is adorable and petite. It makes a sweet little gift to someone. I am burning a stroke each day and it leaves the house with a nice welcome home smell. Available here.